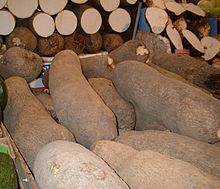 Kristin Kirkpatrick, a wellness manager for the Cleveland Clinic Lifestyle 180 program, says that yams are healthier because they're rich in fiber. Add a bit of sugar and it taste's delicious. Meanwhile, mashed potatoes is 'blah' without butter and gravy. I totally agree. =) Glad I'm more of a yam person than mashed potatoes.